You are here: Home / Blog / working memory / What is Working Memory and Hemispheric Integration? What is Working Memory and Hemispheric Integration? 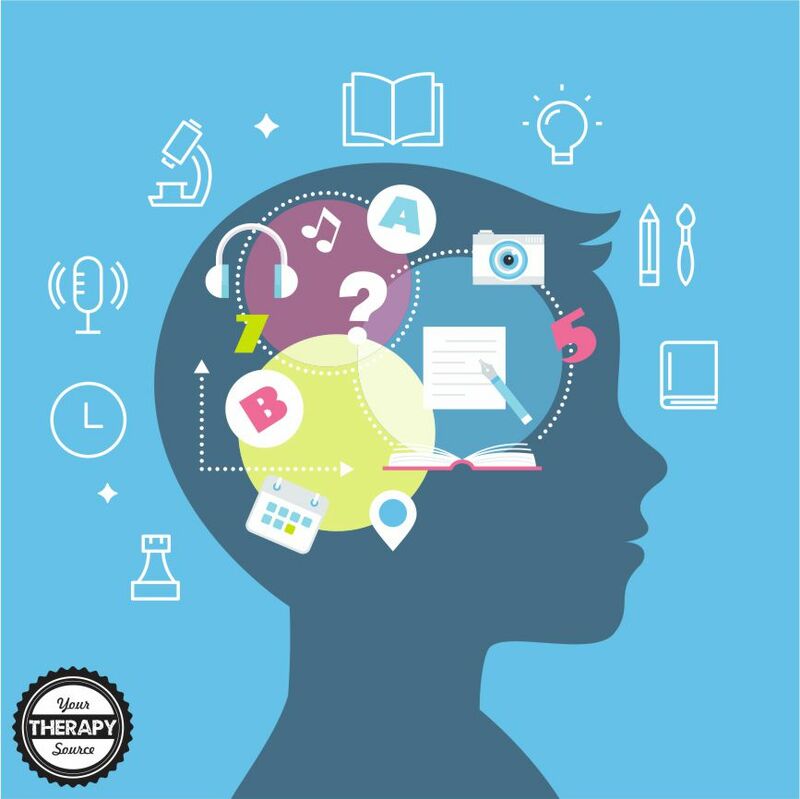 Many times, parents may ask teachers and therapists what is working memory? Working memory is a part of short-term memory that allows us to hold and use information in our minds for brief periods of time. It can be defined as “a dynamic process that involves reviewing new information and retrieving, holding, and manipulating stored information in our minds for the purpose of completing a cognitive task” (Cooper-Kahn & Foster, 2013). The development of working memory is fundamental to helping students to be present and mindful while in the classroom. Students with deficits in working memory may have difficulties with remembering small pieces of information long enough to finish one task or completing multiple steps for a larger task. When academic expectations increase, working memory is necessary for students to retrieve information from their own long-term memories, hold that memory, use or change it and then add new information. Research indicates that working memory improves throughout childhood reaching it’s peak in young adulthood. There is some research to support that playing simple games that challenge memory skills can help to improve a child’s working memory (Burmester, 2017). Hemispheric Integration is the activation of both the left and right hemispheres of the brain. 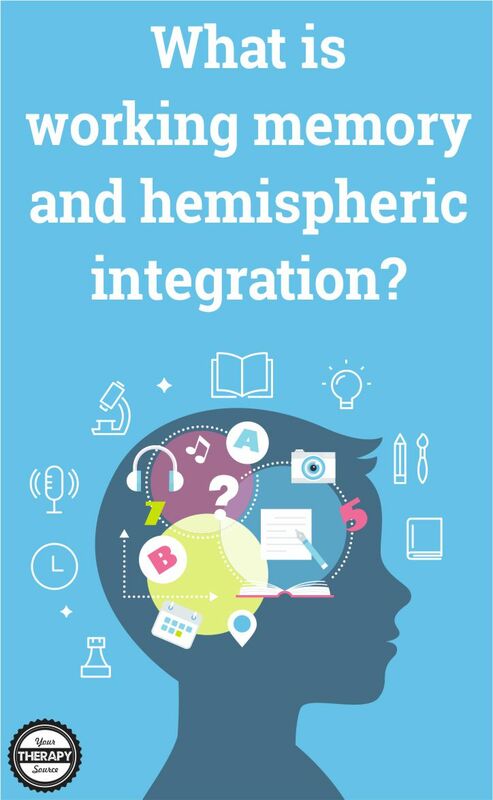 When hemisphere integration is poor, there is decreased communication between the right and left sides of the brain. Electrically, the two hemispheres are not communicating, there is an imbalance between the right and left sides of the brain or one hemisphere is activated, while the other remains largely inactive. According to Stein, Stanford, and Rowland (2009) multisensory integration is essential for almost every activity that we perform because the combination of multiple sensory inputs is essential for us to comprehend our surroundings. A healthy and productive mind “emerges from a process called integration” (Siegal, 2011). Both Dennison (2006) and Hannaford (1995) offer physical activities that integrate the brain through movement, but this publication offers quick printable activities that can also activate both hemispheres and train the brain to be mindful and present for improved memory and processing. What Types of Activities Can Help with Working Memory and Hemispheric Integration? We live in a society that is constantly bombarding children with stimuli to the point that when there is no stimulation, many kids get bored and they don’t know how to think. In addition, many children do not know how to activate their own cognition and take control of their own thought processes. 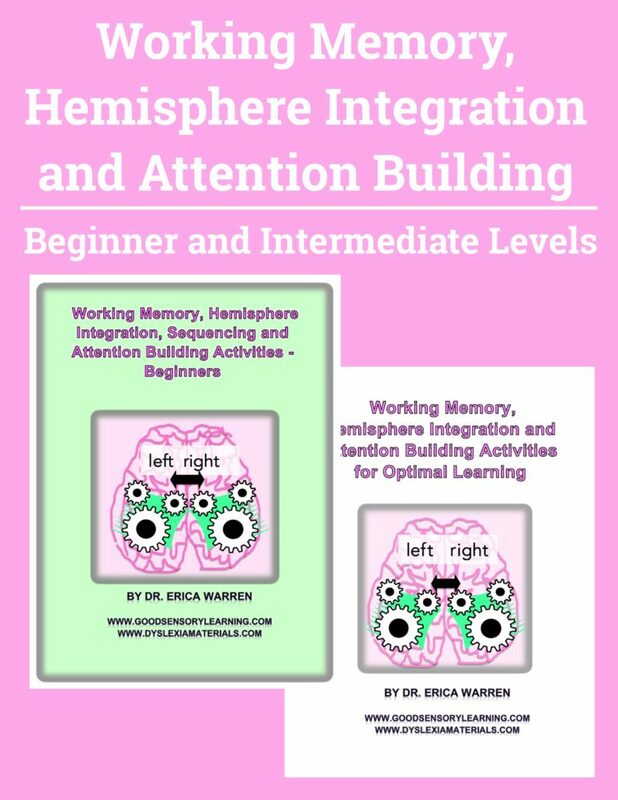 Dr. Erica Warren created Working Memory, Hemisphere Integration and Attention Building Activities to help with working memory and hemispheric integration. engage both hemispheres of the brain. develop the capacity to sustain attention. Many of the activities were created with the Stroop Effect in mind. The effect is named after John Ridley Stroop who first researched and published the effect in English in 1935. Later, his findings inspired a test, The Stroop Test, and these activities are considered to measure selective attention, cognitive flexibility, processing speed, and executive functions. Cooper-Kahn, J., & Foster, M. (2013). Boosting executive skills in the classroom: A practical guide for educators. John Wiley & Sons. Dennison, P. E. (2006). Brain Gym and me: reclaiming the pleasure of learning. Ventura, CA: Edu-Kinesthetics Inc.
Hannaford, C. (1995). Smart moves: why learning is not all in your head. Arlington, Va.: Great Ocean Publishers. Siegel, D. J., & Bryson, T. P. (2011). The whole-brain child: 12 revolutionary strategies tonurture your child’s developing mind. New York: Delacorte Press. Stein BE, Stanford TR, Rowland BA (December 2009). “The neural basis of multisensory integration in the midbrain: its organization and maturation”. Hear. Res. 258 (1-2): 4–15. Stroop, John Ridley (1935). “Studies of interference in serial verbal reactions”. Journal of Experimental Psychology 18 (6): 643–662. Retrieved 2012-1-08.